A group of Portland State University students have spent the last two months visiting previous restoration sites in the Tryon Creek Watershed. The students visited each site and took account of the amount of native versus invasive species of current plants, and the general success rates of past re-plantings. The focus was to help the Tryon Creek Watershed Council be aware of which sites are still in need of eradication of invasive plant species that are preventing native species from thriving. What’s the big deal about invasives? Invasive species are a threat to biodiversity and water quality. Non-natives can spread from the confines of a private yard or garden on shoes, in the wind, or by animals. When they enter a foreign ecosystem, they compete with the existing native species for resources. Invasive species are often more adaptable than native species, and grow rampantly without animal predators in the area that are unable to digest the introduced plant. Without a broad range of different species of plants, animals, insects, etc. living in an ecosystem, the entire ecosystem can collapse. This is an invasive species that is identified by its glossy leaves which protrude along the stem alternatively. This plant produces bright red berries. Unlike its invasive counterpart, its leaves are less glossy and the leaves on either side of the stem are parallel to one another, almost in pairs. The berries it produces are a dark blueish purple. This species of berry has thick, branch-like stems with strong thorns. The leaves come off the stem in groups of five. 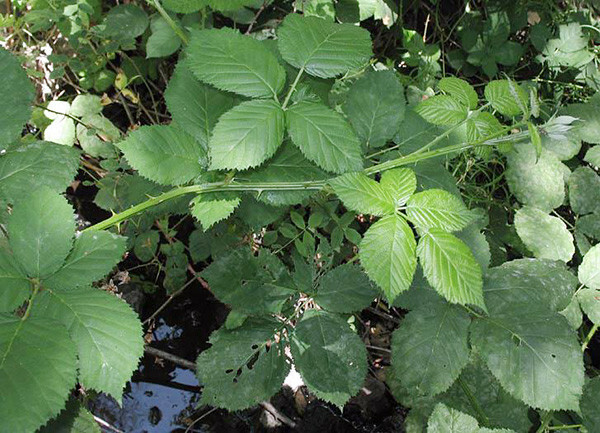 This native species of blackberry has more vine-like stems, and the leaves are in groups of three. Additionally, the plant looks less malicious as there are less thorns and the stem is more flexible compared to its invasive counterpart. There is also a white coating along the stem in this species. An invasive plant that grows into a tree. 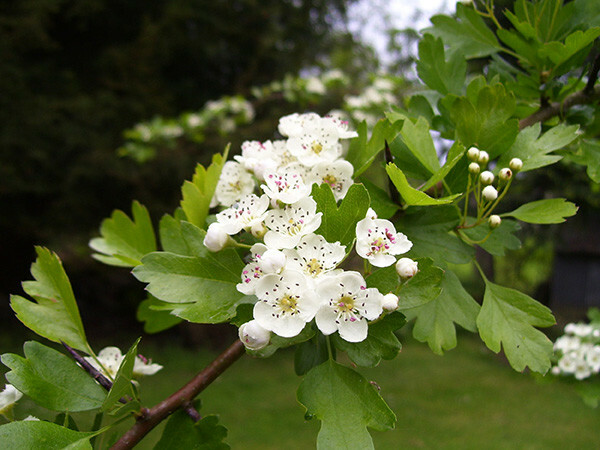 It eventually has had white buds that bloom into small flowers. A green vine that can be found blanketing ground cover, engulfing shrubs and can also take over trees of any size. It can be identified by its dark, green waxy leaves with three to five points from a heart-shaped base. 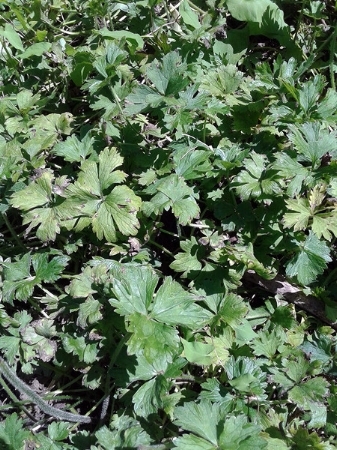 This invasive plant is easily identified by its pungent smell, along with its red stem, parsley-like leaves, and purple flowers–when in bloom. Sometimes called Bind Weed, this plant can grow quickly and can be difficult to get rid of. It climbs up other plants to gain access to more sunlight and because it is not native, it can out compete plants it has latched onto. It has a spade shaped leaf which grows off of a vine once the vine has wrapped itself around the stem of another plant. Though highly prevalent and somewhat exotic-looking, the soft-spoked stalks of distinctive horsetail is a native forb to Oregon. They flourish in the hot summer months, then fade in the Autumn. Volunteer with the Friends of Tryon Creek Eco Crew the first and second Saturday of each month.